Think flower crowns, maxi dresses, floaty chiffon, folk, natural, organic and fun! Hen parties can be such a nightmare to organise! The stress that hen parties can create can be on par with the wedding for some! If you have a chilled bride that loves floral, nature and fun – then some of these unique hen party activities would just be the treat! 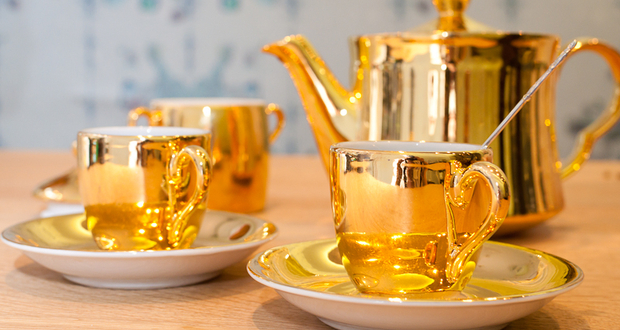 Making your very own perfume and accompanied with tea and cake sounds like a lovely hen activity to us! Learning the beautiful art of aerial hoop or trapeze would be a fantastic activity for a hen party. This fabulous restaurant would be a perfect boho chic hen party setting offering some tantalising North African cuisine. Dance classes have become very popular for hen parties and a belly dancing class would be a fabulous activity to have a giggle and learn some great moves! The boho festival hen party accessories from Hen Box would be the perfect way to accessorise a boho-chic hen party. Another fun dance experience would be to take a Bollywood dance lesson complete with colourful costumes and fabulous accessories. This fun art form will get you feeling in the folk/festival mood complete with colourful tassels and beads! A lovely hen party activity is for a bride and her hens to work together to make bunting, which could feature at the wedding and then could take pride of place in the newlywed’s home. A fun trip to the circus would be a fab way to unleash your inner child and get your hens giggling at some clowning around. This super fun workshop will have you learning and performing circus skills in no time! Having a face painter will really get you feeling the boho festival feel. You could whimsical, sparkly or even neon! Having your hen party at a musical festival would be guaranteed to provide a whole host of entertainment – great music, a fantastic selection of food and drink, theatre shows and interactive workshops. Love movies? Love boats? The floating cinema provides the ultimate combination of watching movies on a boat whilst taking in great views of London. Fab floral fun is on the cards with a floral art workshop. You would definitely be amidst all the pretty! The ultimate boho chic statement is to wear a flower crown, so imagine making your very own bespoke design and then wearing it?! Floral girly bonding sounds pretty perfect! Ever dreamt of skipping and twirling through a meadow and picking your own flowers? 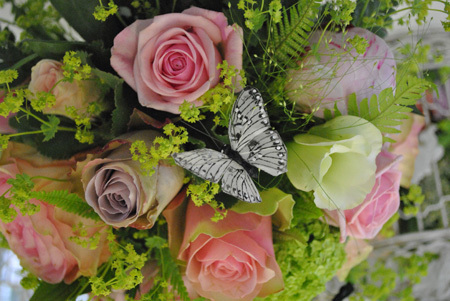 This workshop could make your dreams a reality with flower picking followed by flower arranging! Hiring a country house or having a boho chic slumber party? A charming and easy way to entertain your hens/treat the bride is to create your very own garden cinema. Cushions, picnic rugs, fairy lights and lanterns would be the perfect accompaniment for this setting! Want to be at one with nature but more of a hotel girl? Boutique camping or glamping allows you to be a girly camper whilst being in the outdoors. Learning the art of face painting complete with glitter is definitely a sparkle worthy hen party activity. This creative and beautiful art form would a lovely treat for a hen party. What a fab idea for a hen party – spinning and twirling hula hoops with your girlies! Whatever style of hen party you are having, whether it be rockin’ retro, boho chic or vintage glamour – hula hooping classes can be tailored accordingly. So excited about this unique hen party idea – dressing up in gorgeous kimonos and accessorised with pretty parasols and fans. What a glorious way to spend an afternoon! A really lovely idea would be to hire a narrowboat for the day. Bringing your own nibbles, bubbles and decs or having luxury hampers prepared for you! Steering your own boat or hiring a skipper – the options are endless! Creating pretty paper flowers sounds like such a perfect hen party activity. What a charming idea and so much floral pretty!! Having a boho chic picnic or tea party would be a great way to bond with all of your girlies and provide some fabulous photo opportunities! Taking a lovely cruise along the river complete with a tea party would be such a relaxing way to treat the bride for her hen party. This unique hen party accommodation would be amazing to get close to nature and have an eco-friendly stay. 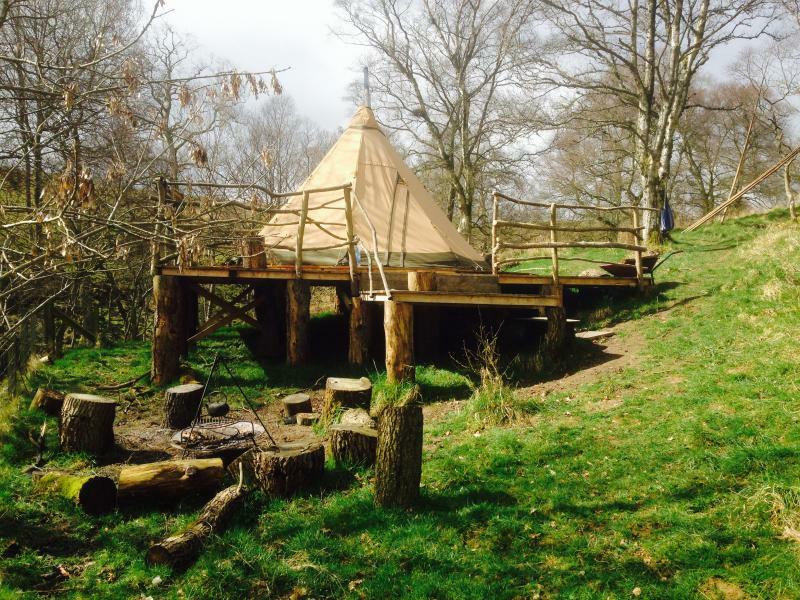 These beautifully crafted tipis and yurts complete with their magical touches would be a great base for a boho chic hen party. This unusual hen party accommodation would provide breath-taking views and would be the perfect place to watch the stars. Taking a vintage bicycle for a glorious ride in a beautiful setting and topped off with a gorgeous picnic sounds like a pretty amazing hen party activity to us! These enchanted caravans situated in the glorious countryside would be such a lovely setting for a hen party. 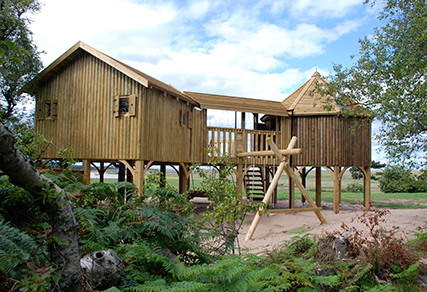 This perfect woodland setting provides a whole host of wonderful activities, including dreamy walks, a hot tub, fun treasure hunts and even interaction with birds of prey. A yoga retreat would provide a natural, healthy, holistic and relaxing experience. This is definitely something to consider for a weekend of wellbeing! A whole boho-chic hen party experience complete with themed entertainment options would be a great way to spend a weekend. Hope you are now feeling hen party inspired to create a beautifully boho-chic experience for your lovely brides/hens!